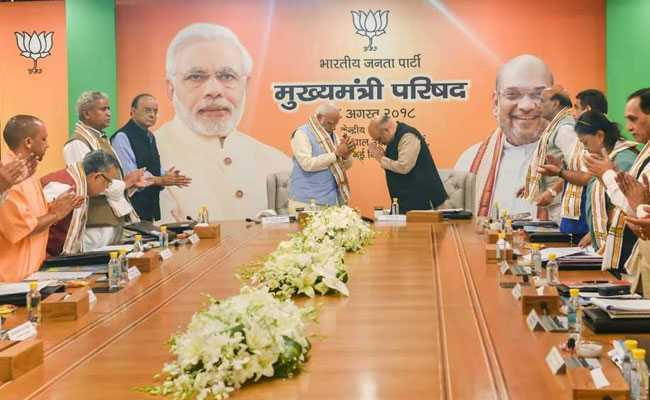 The BJP Chief Ministers' meeting, led by Prime Minister Narendra Modi and BJP chief Amit Shah had been called to discuss strategies for the coming elections - assembly and Lok Sabha. A sharper focus on welfare schemes, with an eye on the rolls of beneficiaries would form the cornerstone of the BP strategy for the national elections next year, sources told NDTV. A data base of beneficiaries of central and state schemes -- complete with contact details -- have to be prepared, a day-long meeting of BJP chief ministers decided today. The meeting, led by Prime Minister Narendra Modi and BJP chief Amit Shah had been called to discuss strategies for the coming elections - assembly and Lok Sabha. 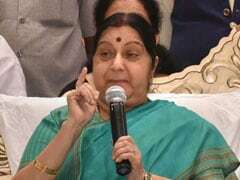 Sources said the top leaders instructed the Chief Ministers to increase the number of beneficiaries in welfare schemes. Overall, central and state schemes in India have around 20 crore beneficiaries. Social welfare schemes were expected to be a game-changer for 2019. The government showered attention on the sector as the opposition Congress kept up the pressure, accusing the BJP and PM Modi of looking after the interests of rich industrialists. Earlier this year, the government had set early deadlines for implementation of key welfare schemes unveiled in the union budget. Over the last months, PM Modi held video interactions with a number of beneficiaries and reached out to them with special addresses broadcast on his app. "We discussed the situation for 2019 elections and state elections, especially those which are going to polls in the next few months. We have decided to contest the next elections under Narendra Modi," Chhattisgarh Chief Minister Raman Singh said after the meeting. Assembly elections are due later this year in Mr Singh's state, Madhya Pradesh and Rajasthan. Mr Singh is seeking a fourth term along with his party colleague from Madhya Pradesh, Shivraj Singh Chouhan. The party faces a strong anti-incumbency factor in all three. In Rajasthan, the government of Vasundhara Raje will seek a second term in power.